This book is a medicine. Before consuming it, read the entire prospectus. Never before have we been so rich in a material sense, and so poor spiritually. A proof of this is the growing consumption of drugs such as Prozac or Tranquimazin, which have become inseparable travel companions for millions of people. There are even those who are anguished by the idea of not having them at hand, without realizing that, instead of eradicating suffering, they only ease the symptoms. But there are also those who believe that medication is not the solution. They want to understand the causes of their discomfort, work through and neutralize them because they do not want to suffer anymore. 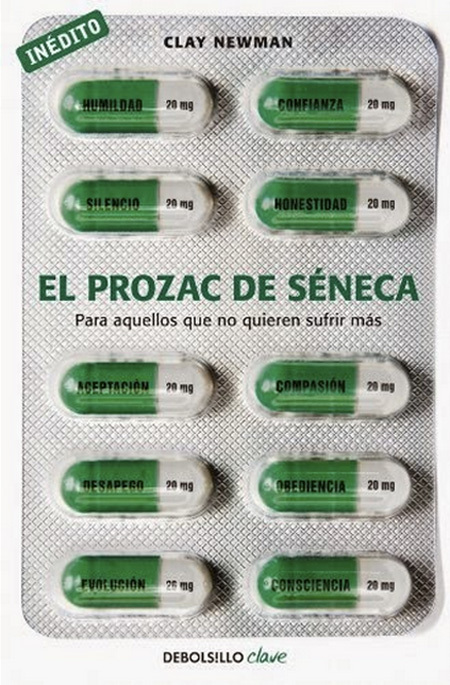 El Prozac de Seneca (Seneca’s Prozac) is addressed to them. It promotes stoic philosophy and provides the necessary dose of wisdom to learn how to be happy. Clay Newman defends that values such as humility, self- acceptance, compassion, and confidence, among others, are inherent to the human condition. However, it is necessary to know and activate them to make them effective. You will soon discover that the only thing that keeps you from being happy is yourself.